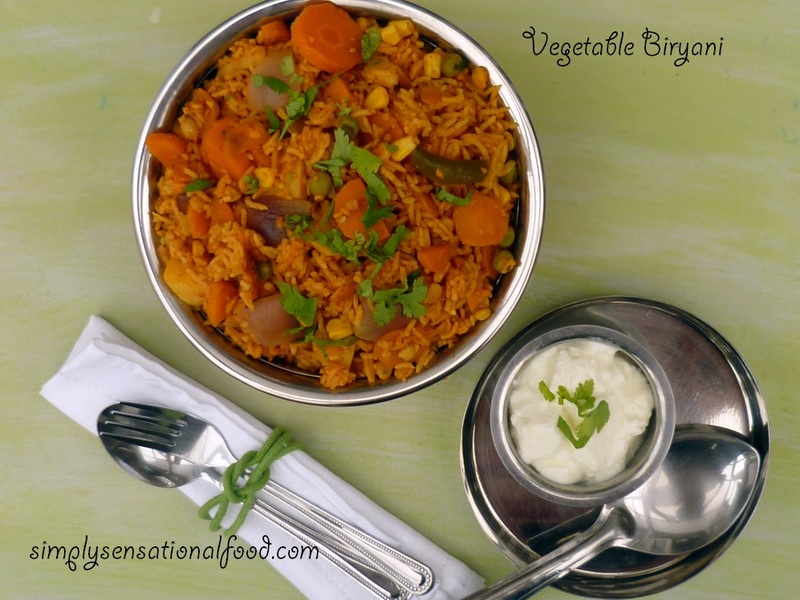 Spicy one pot meal, fluffy rice cooked in aromatic spices in a medley of vegetables. 1. Mix the rice and dhal and wash it in 3-4 changes of water and then soak the rice and dhal for 30 minutes. 2. After 30 minutes drain the water from the rice in a sieve and keep the rice to one side. 3.Heat oil in a pan,when it is hot add the cinnamon stick, cloves, cardamon pods and cumin seeds the onions and sauté until onions are translucent. 4. Add the drained rice and the vegetables and potatoes to the onion and toss the mixture so that the rice grains are coated in the oil. 5. Add the tomato purée, chillies, salt, chilli powder, turmeric powder and sauté for 2 more minutes. 7. After 30 minutes open the lid and fluff the rice up with a fork and transfer to a serving plate and garnish with freshly chopped coriander leaves. Serve with natural yoghurt or cucumber raita. My favorite one pot dish. Delicious. This looks delicious! I printed it out to try sometime this month. I hope you enjoy it I would love some feed back on how it turned out. That looks delicious, my favourite is a mushroom biryiani. This looks amazing! Your blog posts always make me hungry. This is something I will have to add in to the recipe book for sure! I love the spice!! I really hope you get to make it and enjoy it. Looks so yummy Nayna ! Thank you - looks delicious! I like Biriyani but I have never managed to cook it well. This is a cheats version speedier to cook than authentic version that is layered and cooked in a claypot. Tempting biryani........ Love to eat with raita!! Wow, looks great! Thanks for sharing! What a fabulous looking dish! omg im soo hungry right now and looking at that dish my mouth is literally watering!! I love love love biryani and that looks very similar to the one that we make. I really do hope you make it and enjoy it. Do drop back any feed back once you try it. this look so tasty - i love that it has carrots in, I bloomin' LOVE carrots!! Fantastic,aromatic and delicious one pot meal. Happy cooking Pixee ,I hope you enjoy it. I'm always looking for interesting veggie dishes. This looks delicious! Thanks for sharing. Its comments like this that are truly my inspiration and motivation to cook and blog. 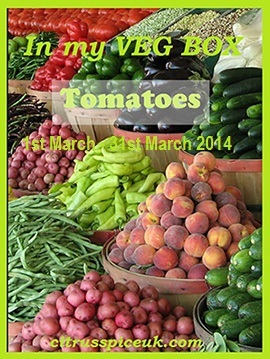 I hope you enjoy cooking my recipes, do feel free to leave me any feed back. Gosh, this looks so delicious! I've never tried Biryani before. Oh, that looks super tasty! I'm vegetarian and most rice dishes I see use meat broth of some kind so it's nice see something that tasty that I can actually eat. Sounds delish! Might have to send the children to their grandparents for an evening though - my daughter (aged 3) refuses to eat rice. Vegetable biryiani is delicious, I should make it, so I have bookmarked this recipe! I hope you do Atosa. Sounds and looks delicious thank you! 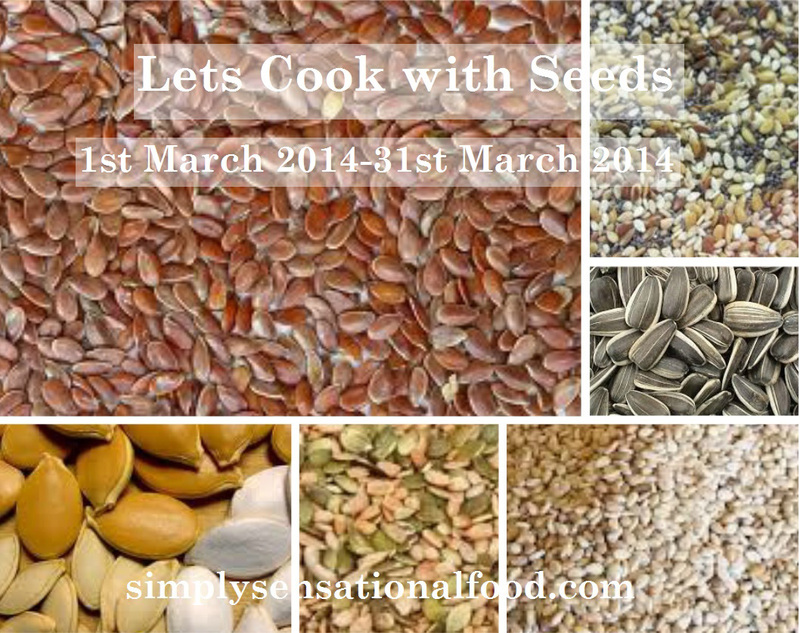 I have been eating lots of rice dishes recently, as they are really simple and healthy to make. This looks lovely too. I love a good biryani and your vegetable one looks delicious. I'm always surprised about the addition of cinnamon to savoury dishes as I think of it as a sweet spice, but it adds such a lovely level of flavour...! Luckily we had squash curry last night, otherwise I'd be desperate for this right now for breakfast. Will definitely be using this recipe! Looks lovely and very comforting! Biryani was one of the first proper currys I ate in a restaurant. This sounds like a great dish. That looks heavenly Nayna and nice photo! That looks delicious. I haven't tried biryani but would feel confident making it at home to try out now! I wondered how this dish was prepared - thanks. Another tasty dish to bookmark, looks lovely Nayna! I made this yesterday and it was delicious thank you! 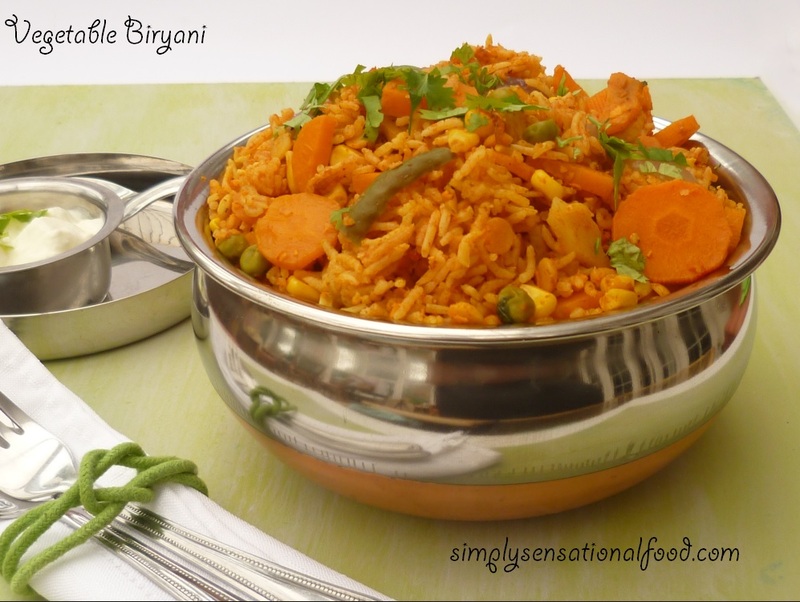 Your vegetable biryani looks delicious. Planning on following this recipe this afternoon! that you need to publish more on this subject matter, it might not be a taboo matter but typically people don't discuss such topics.